It has been five years since I last visited Melaka. 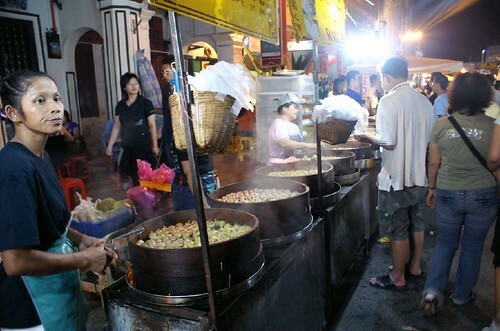 So, I am pleasantly surprised that there is now so much life in Melaka and especially Jonker Walk where my hotel is. The whole area is sealed off from traffic and the tiny lanes turned into a night market at night. 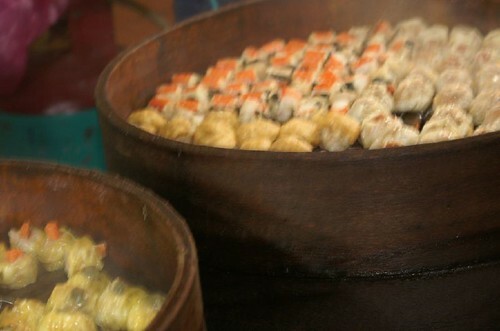 There are lots of stalls selling foods but unfortunately, I couldn’t find any space in my tummy to sample even one of them as I had earlier eaten a huge dinner at the Portugese Settlement. 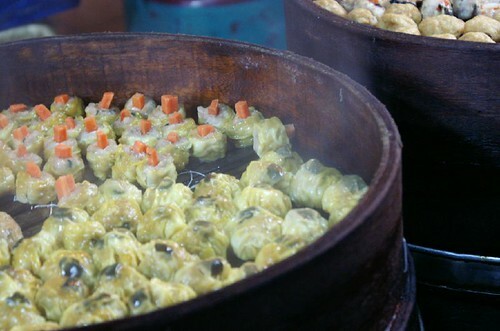 Of one the many stalls is this dim sum stall selling huge baskets of hot, steaming dim sums. There are many varieties and all of them look yummy. It is an agony not being able to eat because there were some new things that I have not sampled before. The following nights, I again cannot go back and try because we had a wedding dinner. And that’s all I did in Melaka. Stare at their foods but never get to eat! Anyway, I was down with a cold and can’t taste or smell a thing. i still remember the chicken rice shop at one end of Jonker walk sipek tasty!